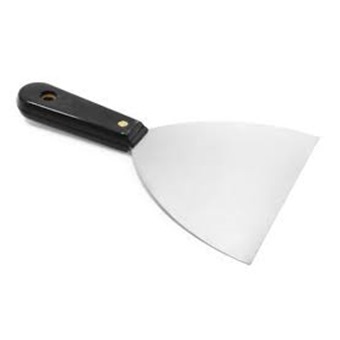 Strong, flexible and durable stainless steel blade.Ideal for spackling, scraping and spreading. NIPPON STAINLESS STEEL SCRAPER WITH HANDLE is rated 4.0 out of 5 by 2. Please select one option 1 1/2" 1" 2 1/2" 3" 4" 6"
Strong, flexible and durable stainless steel blade. 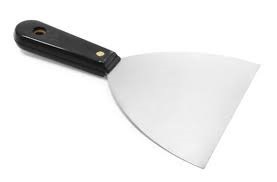 Ideal for spackling, scraping and spreading. Rated 4 out of 5 by Ultrahisham from Classic Scraper Used this a couple of times. Easy to use and multipurpose. Rated 4 out of 5 by chungbro from Nippon Paint Stainless Steel Scraper I bought this product recently. I found it easy to use, ergonomic and value for money. Will recommend to others.